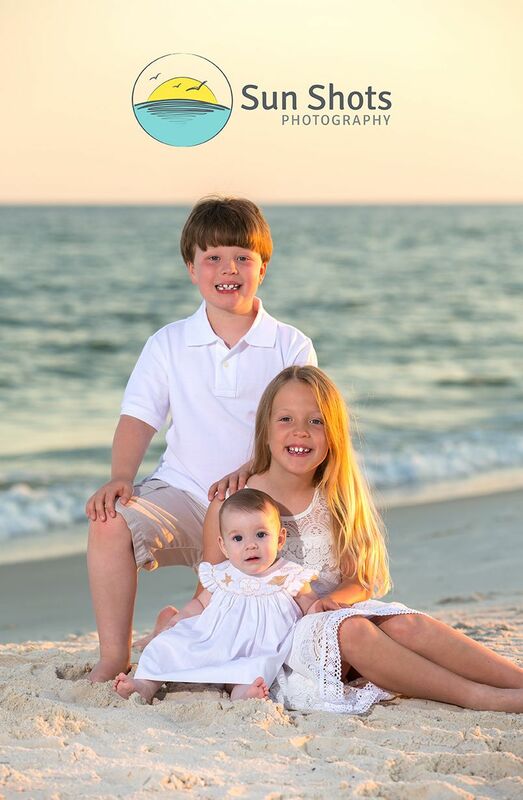 To us, Gulf Shores family beach portraits are super important. Every little detail must be given a little attention, some more that others of course. Why you ask? The answer is simple, perfection is the key to our art. When a portrait shines, the family shines, and when the family shines, everyone is happy. Take our session from last night for instance. We have seen this family three times. Three times we have strived for perfection, and three times we have succeed. This year we had the distinct opportunity of meeting the baby for the first time. What a trio these little's where. All happy and smiles, just the way it should be at the beach. Thanks so much guys for showing up and having a great time. Sessions like this make me want to stay on the beach forever. If only moonlight portraits were in high demand, HAHA. If your family is looking for family beach portraits, we want to apply for the job of your professional beach photographer. Your session is super important, and we would love to share our art with you. Every little t will be crossed, and every little I will be dotted. We aren't happy until you are happy, and a treasure for your mantle is our ultimate goal. Whether it be a family shot or a candid of the kids, our experience and knowledge of proper lighting will make it happen. So what are you waiting for? pick up the phone and give us a call today! Spots are almost booked for the summer, so don't delay, call today. Stories are what we tell, and your vacation is the perfect punch line. Every story is different and we understand the dynamics of the art, so please give us an opportunity to share our art with your family.